WAGNER: Whatever my passions demand of me, I become for the time being - musician, poet, director, author, lecturer or anything else. NARRATOR: We present the life and music of Richard Wagner by Shaun MacLoughlin. NIETZSCHE: He is the most ill-mannered genius on earth. Perhaps this is true, but he also at times had immense charm and he was often very kind. There is no denying he was a genius. The music critic, Hans Keller, has written. Wagner's music like none other before or after him, let what Freud called the dynamic unconscious erupt with a clarity and seductiveness, which will arouse as much resistance as its sheer power creates enthusiasm. The music and text of Tannhäuser are based on two German legends and upon a song contest. The story centres on the struggle between sacred and profane love. Redemption through love, is a theme running through most of Wagner's mature work. Wilhelm Richard Wagner was born at No. 3 The Brühl, ('The House of the Red and White Lions'), in the Jewish quarter of Leipzig, on 22 May 1813. He was the ninth child of Carl Friedrich Wagner, a clerk in the Leipzig police service, and of his wife Johanna Rosine, the daughter of a baker. Wagner's father died of typhus six months after Richard's birth, following which Wagner's mother began living with the actor and playwright Ludwig Geyer, who had been a friend of Richard's father. 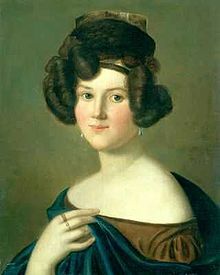 In August 1814 Johanna married Geyer, and moved with her family to his home in Dresden. Until he was fourteen, Wagner was known as Wilhelm Richard Geyer. He almost certainly suspected that Geyer was his natural father. How deeply the homeless artist, Ludwig Geyer, hard pressed by life and tossed to and fro, longed to feel himself at home in a sympathetic family circle, was proved by the fact that a year after his friend's death, he married his widow, and from that time forward became a most loving father to the children left behind. Geyer's love of the theatre was shared by his stepson, and Wagner took part in his performances. In his autobiography, he recalls playing the part of an angel. I figured in a tableau vivant, sewn up in tights with wings on my back, in a pose I had laboriously practised. NARRATOR: The boy Wagner was also hugely impressed by the Gothic elements of Weber's Der Freischütz. Spider's web spun from blood. The bride will be dead. The sacrifice will be made. Der Freischütz appealed very strongly to my imagination, mainly on account of its ghostly theme. From my earliest childhood mysterious and uncanny things exercised an enormous influence over me. If I were left alone in a room for long, when gazing at lifeless objects, such as pieces of furniture, I would suddenly shriek out with fright, because they seemed to me alive. 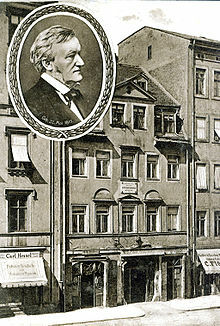 In late 1820, Wagner was enrolled at Pastor Wetzel's school at Possendorf, near Dresden, where he received some piano instruction from his Latin teacher. He could not manage a proper scale but preferred playing theatre overtures by ear. Geyer died in 1821, when Richard was eight. 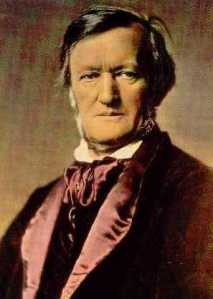 Subsequently, Wagner was sent to the Kreuz Grammar School in Dresden, paid for by Geyer's brother. The young Wagner entertained ambitions as a playwright, his first creative effort being Leubald, a tragedy, begun at school in 1826, which was strongly influenced by Shakespeare and Goethe. Wagner was determined to set it to music; he persuaded his family to allow him music lessons. By 1827, the family had moved back to Leipzig, wher he began lessons in harmony. 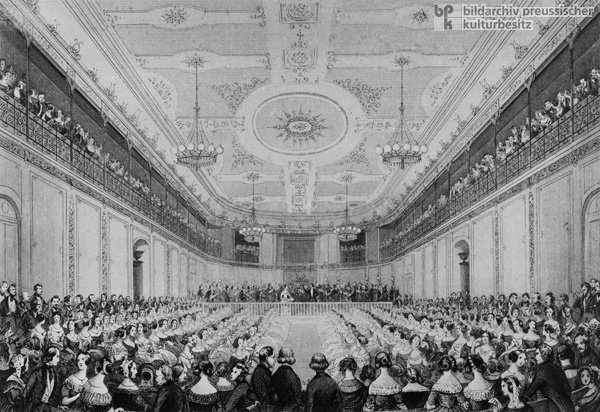 In January 1828 he first heard Beethoven's 7th Symphony and then, in March, Beethoven's 9th Symphony performed in the Gewandhaus, Leipzig's premiere concert hall. Beethoven became his inspiration, and Wagner wrote a piano transcription of the 9th Symphony. WAGNER: I learned that he was deaf, and led a quiet secluded life. I conceived an image of him as a sublime and unique supernatural being, with whom none could compare. This image associated in my brain with Shakespeare; in ecstatic dreams I met both of them, and on awakening found myself bathed in tears. NARRATOR: He was also greatly impressed by a performance of Mozart's Requiem. WAGNER: I was now filled with a desire to compose, as I had been before to write verse. From this period date Wagner's early piano sonatas and his first attempts at orchestral overtures. If I look back on my life as a whole, I can find no event that produced so profound an impression upon me. Any one, who can remember that wonderful woman at this period, must to some extent have experienced the almost Satanic ardour, which the intensesly human art of this incomparable actress poured into his veins. In 1831 he enrolled at the University of Leipzig, where he became a member of the Student Fraternity, entitled to wear a splendid Saxon cap. He was wild and disreputable, taking part in riots, drinking heavily, and challenging other students to duels. The way in which fate preserved me from the consequences of my rashness was truly miraculous. My first opponent had the artery of his right arm severed by another combatant and was therefore unable to fight. Two further opponents ran away to avoid paying debts. A fourth was killed in another duel. A fifth was assaulted in a house of ill fame and ended up in hospital the day we were due to fight. NARRATOR: He then became addicted to another obsession. I was such a victim to the rage for gambling, that no other passion was able to exercise the slightest influence over my mind. Neither the beer house nor the scene of the fights ever saw my face again. 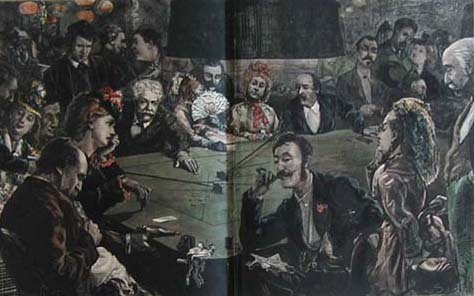 In my lamentable position, I racked my brains all day to devise means of getting the money, wherewith to gamble at night. And then I staked my mother's entire pension, which I lost; and when I was down to my last thaler and sick from lack of food, I staked it and then I began to win and win and win. My sensations during this process were of the most sacred nature: I felt as if God and His angels were standing by my side. I confessed to my mother, returned the money to her and from that moment gambling lost all fascination for me. I now devoted myself heart and soul to serious music study. He took composition lessons with the cantor of Saint Thomas Church, Christian Theodor Weinlig. Weinlig was so impressed with Wagner's musical ability that he refused any payment for his lessons, and arranged for Wagner's piano sonata in B flat to be published, as the composer's opus number 1. A year later, at the age of 19, Wagner composed his Symphony in C major, a Beethovenesque work, performed in Prague in 1832 and at the Schneider-Herberge in Leipzig. It was in this dignified old hall that my work was introduced to the Leipzig public for the first time. The place was dirty, narrow, and poorly lighted, and it was here that an orchestra interpreted it simply disgracefully. I can only think of that evening as a gruesome nightmare; and my astonishment was therefore all the greater at reading an excellent notice. Full of hope, I therefore looked forward to a performance of the same work at the Gewandhaus concert, which followed soon after, and which came off brilliantly in every way. It was well received and well spoken of in all the papers; of real malice there was not a trace. NARRATOR: In the same year Wagner's older brother Karl Albert managed to obtain Richard a position as choir master in Würzburg. 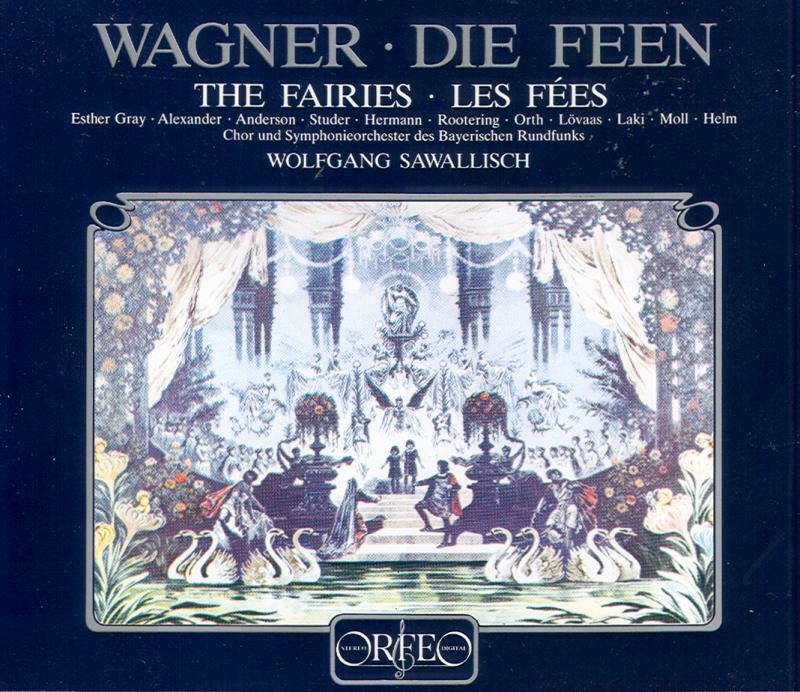 There at the age of 20, Wagner wrote the libretto and composed the music for his first complete opera, Die Feen (The Fairies). My prince was called Arindal; he was loved by a fairy called Ada, who held him under her spell and kept him in fairyland, away from his realm. But eventually his faithful friends induced him to return, for his country has fallen into the enemy's hands. The loving fairy herself sends him back to his kingdom, for the oracle has decreed that she shall lay upon her lover the severest of tasks. Only in this way can she leave the land of the fairies and marry her earthly lover. 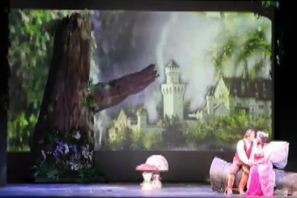 Then the fairy queen appears and destroys his faith in Ada. Arindal imagines he has been dealing with a wicked sorceress. Wild with sorrow, the unhappy fairy sinks down, and reveals their mutual fate to the lover, now lost to her for ever. She tells him that, as a punishment for having disobeyed the decree of Fate, she is doomed to be turned into stone. However Arindal's madness grows into sublime exaltation. He plays a lyre, expressing his remorse, and his overpowering longing for his enchanted queen. The stone is moved by the magic of his love: the beloved one is released. Fairyland with all its marvels opens its portals, and the mortal learns that, owing to his former inconstancy, Ada has lost the right to become his wife on earth, but that her beloved, through his magic power, has earned the right to live for ever by her side in fairyland. TANNER: It is a work of considerable charm, not much originality, and a pervasive uncertainty about how seriously it wants to be taken. NARRATOR: This opera, which clearly imitated the style of Carl Maria von Weber, would go unproduced until half a century later, when it was premiered in Munich shortly after the composer's death in 1883. 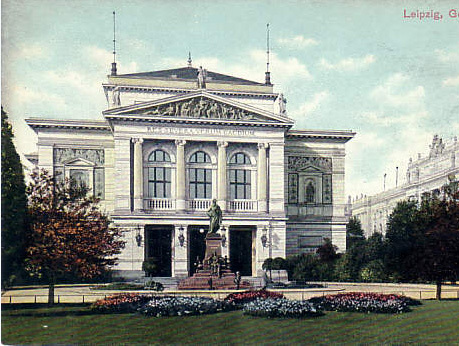 Meanwhile, Wagner held a brief appointment as musical director at the opera house in Magdeburg during which he wrote Das Liebesverbot (Forbidden Love), based on Shakespeare's Measure for Measure. This was staged at Magdeburg in 1836, but closed before the second performance, leaving the composer (not for the last time) in serious financial difficulties. 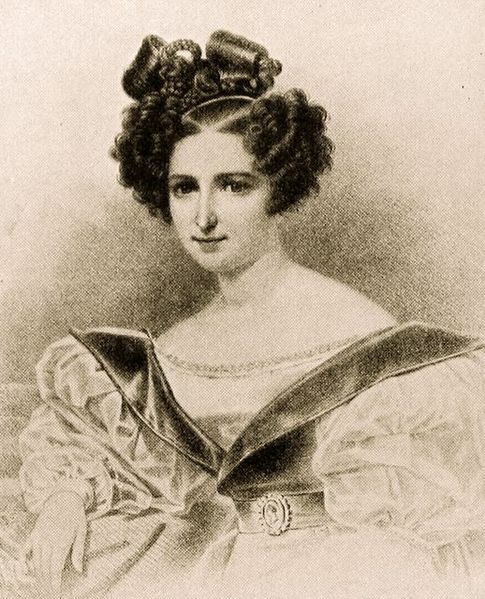 In 1834 Wagner had fallen for the actress Christine Wilhelmine "Minna" Planer. The ladies of the opera company were not slow to pay court to their youthful conductor. I hit upon the idea of inviting the elite of our opera company to oysters and punch on New Year's Eve. Would Fraulein Planer consent to take part in such a festivity? Yes. She presented herself in my bachelor apartment, where things soon grew pretty lively. What the champagne failed to accomplish, the punch eventually succeeded in doing; all the restraints of petty conventionality were cast aside, giving place to an unreserved demeanour all round. And then it was that Minna's queenly dignity distinguished her from all her companions. Everyone could not fail to see that the link existing between us was not to be compared to any ordinary liaison. I do not believe that Minna ever felt any sort of passion or genuine love for me, or, indeed, that she was capable of such a thing, She obviously had a very favourable opinion of my abilities, though she was surprised at the rapidity of my success. She knew well how to humour my eccentric nature by her gentleness. She never met my impetuous advances with coldness. At this time Minna and I made friends with Madame Haas, an elderly actress; but she became jealous and began to criticise Minna. One evening I became drunk at a whist party and returning to Minna's I scoffed at Madame Haas in the coarsest manner. She left the house in high dudgeon. As soon as Minna realised my removal was impossible without the greatest commotion, with the utmost calmness and resolution, she procured me the necessary relief. I sank into a heavy slumber. The next morning's sunrise marked the starting point of a momentous period in my life. We breakfasted quietly and decorously together. From that day forward we freely and openly gratified our desires, as an acknowledged pair of lovers. 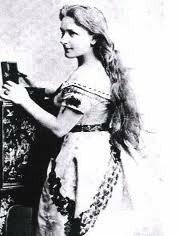 After the disaster of Das Liebesverbot, in which on the second night there was a fight between members of the cast, behind stage and the performance had to be cancelled, Wagner followed Minna to Königsberg, where she helped him to get an engagement at the theatre. 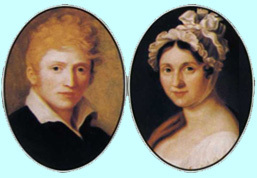 The two married in Königsberg on 24 November 1836. 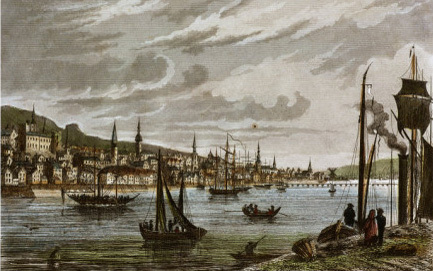 In June 1837 Wagner moved to the city of Riga, then in the Russian Empire, where he became music director of the local opera. Minna had recently left Wagner for another man, but Richard took her back; this was but the first debacle of a troubled marriage that would end in misery three decades later. By 1839, the couple had amassed such large debts that they fled Riga to escape from creditors. We did not have passports to enter Prussia. We had to wait until sundown in a smugglers' drinking den, which gradually became filled to suffocation with Polish Jews of most forbidding aspect. At last we were summoned to follow our guide to the ditch which runs the whole length of the Russian frontier. It is watched continually by Cossacks. Our chance was to utilise the few moments after the relief of the watch, during which the sentinels were elsewhere engaged. 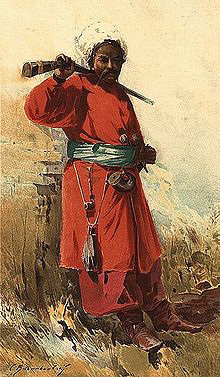 We had, therefore, to run at full speed down the hill, scramble through the ditch, and then hurry along until we were beyond the range of the soldiers' guns; for the Cossacks were bound in case of discovery to fire upon us even on the other side of the ditch. We succeeded. Yet the dangers we had overcome were but a prelude to further calamities on our adventurous journey. 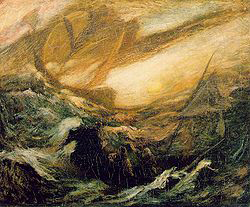 NARRATOR: During their flight, they and their Newfoundland dog, Robber, took a stormy sea passage to London, from which Wagner later drew the inspiration for The Flying Dutchman. The storm began to rage with unheard-of violence. We thought ourselves in imminent danger of death. It was not the terrible force with which the vessel was hurled up and down, entirely at the mercy of this sea monster, which appeared now as a fathomless abyss, now as a steep mountain peak, that filled me with mortal dread. There raged, beside the tempest on the water, a furious thunderstorm overhead, and Minna expressed the fervent wish to be struck by lightning with me rather than to sink, living, into the fearful flood. She even begged me to bind her to me, so that we might not be parted as we sank. Yet another night was spent amid these incessant terrors, which only our extreme exhaustion helped to mitigate. It is characteristic of Wagner's central figures that they have committed a crime - in the Dutchman's case, an oath that he would round the Cape at any cost, for which Satan doomed him to eternal voyaging. However every seven years he is given a teasing chance of setting foot on land to find a woman who will sacrifice herself for him. So begins the Duet with Senta, which is the heart of the work. Should I, wretched one, call it love? Might it come to me through such an angel. MANN: Never before had such complex thoughts, such convoluted emotions been sung or put into singable form. What a penetrating insight into the complex depths of an emotion!